• Bathroom sphere of 2,7m, which can also be arranged as a kids’ bedroom. 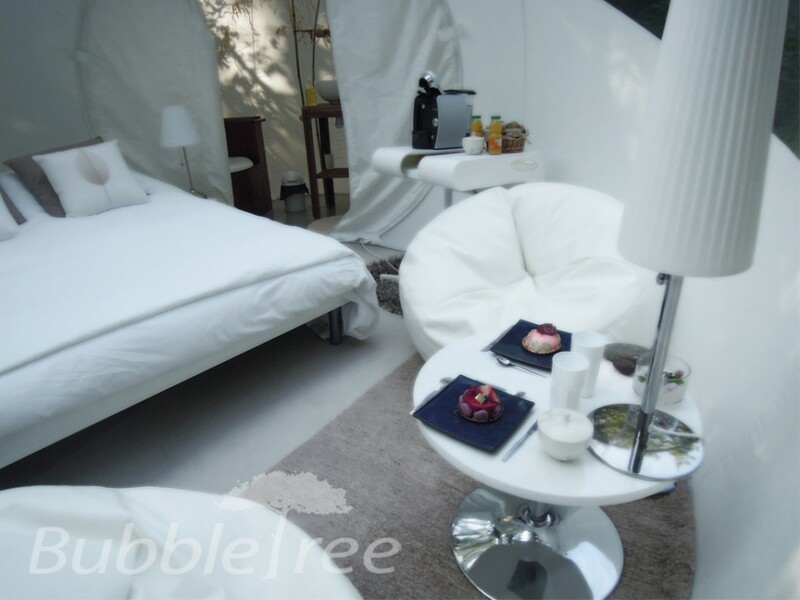 BubbleSuite 162 created based on the golden ratio is a more spacious luxury temporary accommodation. 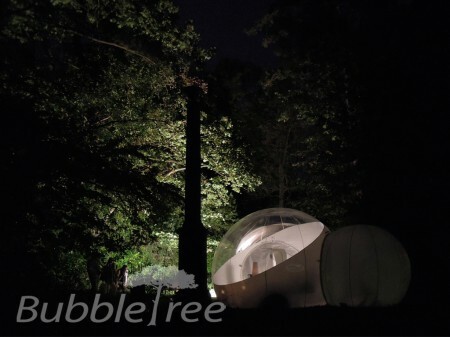 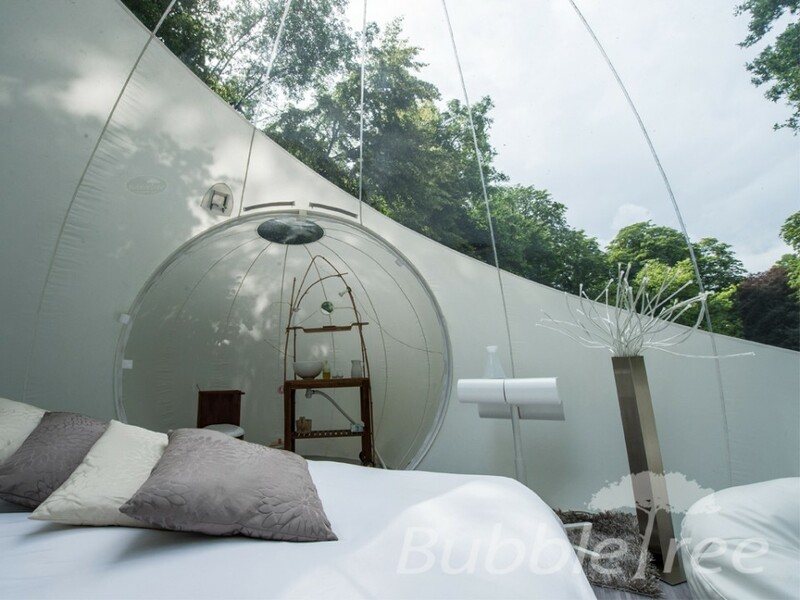 BubbleSuite 162 offers a the main room of 4,35 m (the cozy semi transparent BubbleRoom in standard version), and an entrance tunnel of 0,8 m between the main room and the bathroom. This nomadic villa is ideal to put a king size bed. 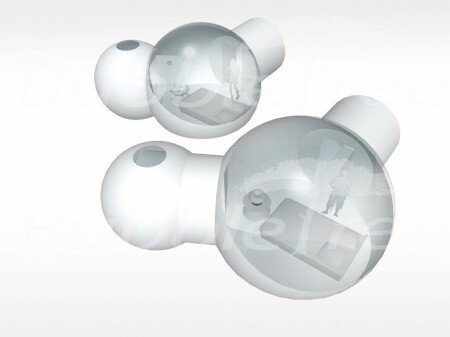 The complete sets include entrance tunnels with fixed frameworks as well as openings, cable for fixing to the floor and air blower with accessories. Modular wooden floor provided additionally. 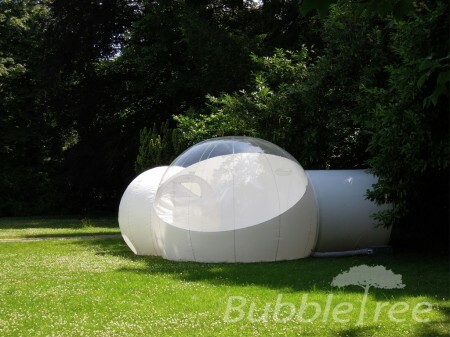 All parts are modular and interchangeable to make your BubbleSuite match your needs and preferences. 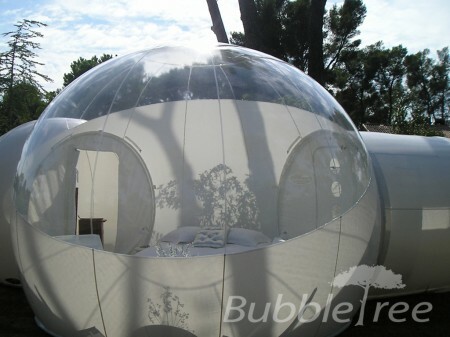 The standard BubbleSuite includes the BubbleRoom for the main room. 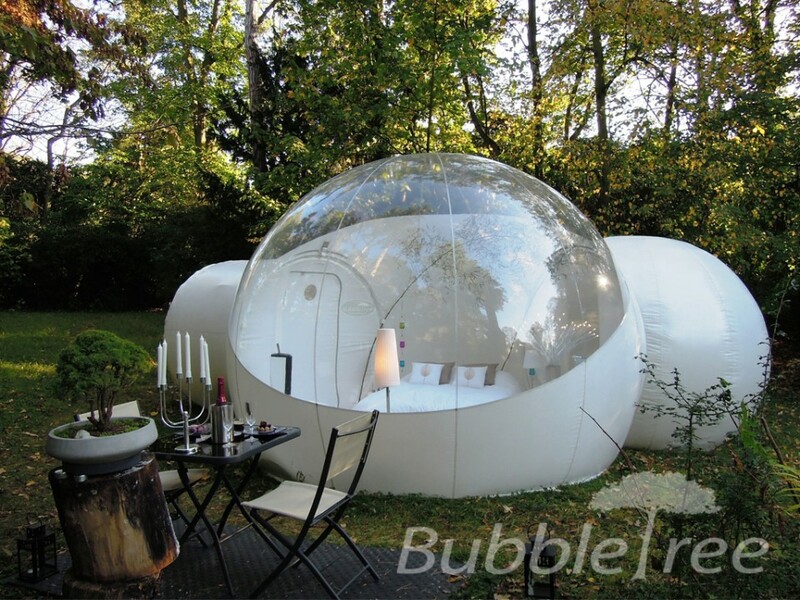 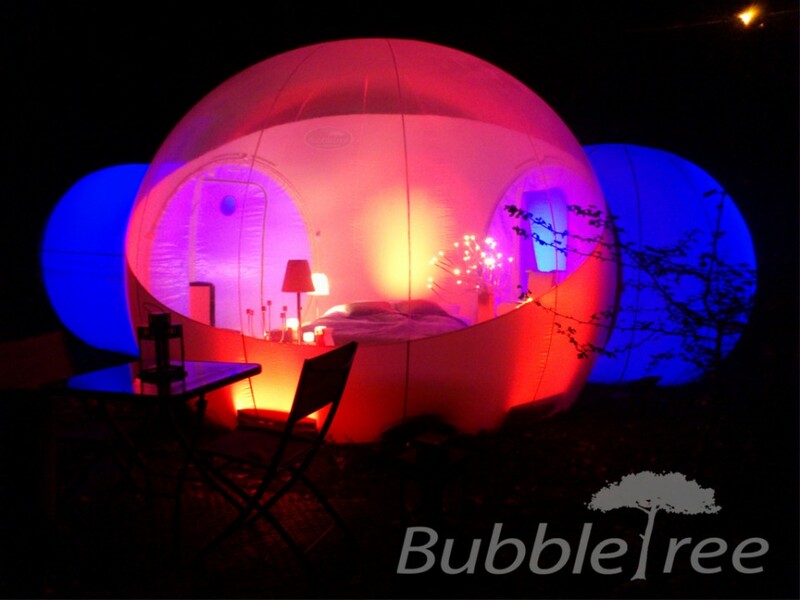 On request, other Bubbles can be used to compose this accommodation: you can create your own BubbleSuite!